The primary goal of the registry is to determine how many of these cars still exist. The secondary goal is to document the various options and packages these cars had. Many fields of the forms are required info for the registry as there is specific information we are gathering for these cars. There are other fields that are not required, but if known is helpful. For additional resources on VIN, fender tag decode or Production Numbers, check the "Reference Materials" section of the Tech Center. NOTE: When we display the Registry Statistics, the last six digits of your VIN are not displayed, and none of your personal information. TIP: When entering fender tag data for 1964 and 1965 models, enter the uppercase letter followed by the corresponding number beneath, then list the number row followed by the corresponding number beneath. Separate the codes with a comma, i.e. AB30, B2, C3, 11, 39, 72, etc. TIP: When entering fender tag data for 1966 models, enter the uppercase alphabet letter followed by the corresponding number beneath, then list the lowercase alphabet letter followed by the corresponding number beneath. Separate the codes with a comma, i.e. AB31, C5, R1, a6, b4, p6. etc. Is your car already listed in the Registry? Enter the last six digits of your VIN in the appropriate box and click the search button to find out. 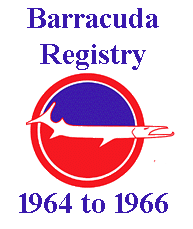 Click the year below to see all cars listed in the registry for that year.